Due to the restrictions with having a WordPress account I have decided to move to a self hosted blog. Over the weekend Big Mr A has been working really hard to get me up and running and I think I am nearly there! 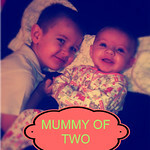 From now on all posts will be posted to my new site http://www.mummyoftwo.com. The competition currently running can be entered through either site, the entries will all be counted! If you are subscribed and enjoy reading my posts it would be great if you could follow me over to my new blog http://www.mummyoftwo.com. Look forward to seeing you over there and I would love to hear your feedback on my new blog! Little Miss A is rolling! 100 Little Words on Parenthood – & giveaway! A while ago I saw the opportunity to be involved with a fabulous new book being put together by Charlie Plunkett. Already a successful author having published 3 books, Charlie was looking for parents and grandparents to write 100 words on various aspects of parenthood. I thought it looked like a fantastic thing to be involved in and submitted my 100 word birth story. I was delighted when Charlie said she would include me in her new book. Before Christmas the book was released as an e-book and I downloaded my copy. I really enjoyed reading everyone’s 100 words, it amazed me what people could write in so few words! Some made me laugh, others cry, but all were well thought out and a great read. It was really lovely to see my name in there amongst all those other fabulous people! The book has now been released in paperback and I was thrilled to receive my signed copy from Charlie and to see my name in print! Charlie was kind enough to send to me a 2nd signed copy and I have decided to give this away to one of you lucky readers. All you have to do is complete the Rafflecopter form. 100 Little Words on Parenting really is a great read and I would highly recommend it to anyone parent or not! Charlie will shortly be visiting my blog as part of her tour round all her contributors so look out for that soon! Tots100 have teamed up with Printerpix to run a competition for bloggers to submit photos of their children/family to be in with chance of winning a brand new Panasonic Lumix DMC-FZ200 bridge camera plus memory card, worth £500 – plus another £100 to spend on the Printerpix website. 4 runners up will receive a large framed photo or canvas print from Printerpix. It was so hard to pick just 1 picture from our vast collection of digital pictures. Since having our children we have taken thousands! This picture was taken on a trip to Disney in Floria when Little Mr A was 9 months old. We went with the whole family to celebrate my Mother-in-Law’s 60th birthday. It was an amazing holiday, our first holiday abroad with Little Mr A and he loved it! Although he was too young to take everything in he had a great time going on the rides and meeting the characters. We had been queuing for some time to meet Mickey and Minnie and Little Mr A was really well behaved. When it was our turn to meet them he had a great big smile on his face! Shortly after this picture was taken Little Mr A became quite taken with Minnie and started nibbling her nose! We are looking forward to hopefully returning in 2015 with Little Miss A! 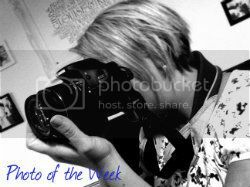 This post is Mummy of Two’s entry into the Printerpix Photo competition. Last week for us was half term. Big Mr A had a couple of days off at the end of the week so we decided we would have a day out. We searched on the internet for somewhere different to go and came across Magna. Described as a ‘Science Adventure Centre’ the website made it look really exciting and like there would be lots for Little Mr A to interact with. We booked tickets online and set off. When we arrived we saw a great play park which had lots of different things to play on so we had a great first impression. The building itself looked great and like there would be lots to do. The reception staff were friendly and through booking tickets online we were dealt with quickly and headed inside. What struck us was how cold and dark it was! We knew it was an old Steel Mill but from looking on the website it didn’t look to be that dark! We navigated our way around the main platform but were disappointed by the interactive activities. They consisted of a few computer screens all with the same game on and spotlights that you had to find things which would then come up on the screen. This was really quite difficult and certainly too much for Little Mr A to do. We made our way to the fire pavilion where we managed to warm up! The highlight of that room was the fire tornado which was really quite impressive, however, there wasn’t really much else of interest in the room and a lot of the exhibits and interactive activities were not working (which we found to be the case throughout most of the rooms). As it was coming up to dinnertime we went to find the packed lunch area. This was really quite difficult to find from the signs and with a pram it was not easy to get to having to use a couple of different lifts to get there. Another problem was one of the lifts was out of order as it had become stuck leaving some poor people stranded in there for most of the afternoon! When we found the packed lunch area it was full of school children! We managed to find a table in the corner but it was very noisy! I appreciate they cater for school groups but think they could maybe have a separate packed lunch area for regular visitors! Once we had finished lunch we made our way back into the cold and went to the earth pavilion. In here there was quite a few things for Little Mr A to do such as a sandpit with various diggers etc, some large diggers that you could sit in and pick up things with and a rock activity where you placed pretend rocks on a conveyor belt and watched them go through various processes before being able to collect them in a wheelbarrow at the end and take them back to the beginning. Unfortunately Little Mr A could not join in properly with this as there were not enough wheelbarrows to go around, and it wasn’t even particularly busy! Although this room was more fun, it was very noisy and I dread to think what it would have been like on a busy day. Next we attempted to visit the water pavilion, however, it was full of the school groups and, after 5 minutes of not been able to go on anything and Little Mr A being pushed around we decided to visit the air pavilion and come back later. I think it should be better organised so that perhaps the pavilions could be closed for a set amount of time whilst the school groups visit and then reopen to the regular visitors after. It was too much to have lots of school children in one area whilst regular visitors are trying to use the exhibits too. I am sure we all remember what we were like of school trips, over excited and not really paying attention to anyone else around!! We visited the air pavilion next which again had a few things for Little Mr A to try, however, I felt a lot of the things in this room were aimed at bigger children as some of them were quite difficult for him to do. We eventually made our way back to the water pavilion which was definitely the best for Little Mr A. There was lots of activities for him to take part in including boats to play with and really fun water pistols where you could hit targets. Be warned though, if you have little ones that like water play, they will get wet! After that we took a trip to the outdoor play park which I felt was the best part of the day. There were so many things to go on and I think Little Mr A could have spent all day in there! In the warmer weather they have a water park too which looked like good fun. Overall the facilities were good, toilets were clean and plenty of them. I can’t comment on the food or drink as we did not use the cafe, however, it was very dark in there! The price of a ticket is £10.95 for an adult and £8.95 for children over 4. You can get a discount by purchasing online and there are family deals available. Once you have bought your tickets you can fill in a form and on your second visit take it back with passport photos and you will get a yearly pass for no extra. Unfortunately I don’t think we will be taking advantage of this as I really can’t see us going back there again, certainly not until our children are older. I don’t think it is a great place for young children, I am not really sure what age groups would get the most out of it really. We were a bit disappointed by our visit really, I think there are much better places in the area to go especially with younger children. I can see that it is a great place for school trips but perhaps not great for the regular visitor. Playing with your kids – boring or fun? I recently read an article that said playing with your children was boring. Ok I thought when I first saw the headline I am not going to pretend I absolutely love playing with Little Mr A every minute of the day, his new ‘trumping on people’ game is certainly not one I enjoy joining in with, but I do enjoy playing with him. The more I read of the article the more I was quite disgusted at the sentiment in it. Why this person ever had children is beyond me! In my opinion, when you chose to have children you give up your life for the next 16-18 years (or longer! )to be there for your child’s needs. This is not to say you can’t still have adult time, however, your children come first. Yes this will include doing things that maybe you aren’t too entertained by, but so what! Even if I am not particularly enjoying a game we are playing/place we are visiting, seeing Little Mr A happy makes me happy. I think parents have a big responsibility to teach their children how to play both by themselves and with others. How many times have you been to a playgroup and seen either a child sat on their own or running around taking toys off other children as they have not been taught how to play properly? I am not professing to be the perfect Mum who drops everything as soon as Little Mr A says play with me. Yes there are times that jobs need doing and I have to say no, however, at weekends we will often take it in turns to either go and play lego/trains etc in his room or bring a game downstairs for the whole family to play together. I don’t consider ‘play’ to be just using toys. I think anything you can make fun and do together with your child could be considered ‘playing’. For instance baking, crafts, even getting them to help you with the cleaning can be made into a fun game. Little Mr A is always asking if he can help with the cooking. It is hard sometimes to find the imagination to play with your children and I must admit I do prefer playing actual games or doing jigsaws with Little Mr A, however, I try to remember what it was like when I was a child playing with Barbies etc and all the fun things me and my sister used to play. I do think it is important for children to learn to play on their own too but sometimes I find Little Mr A needs starting off with something to play with then he will quite happily carry on playing on his own. At the moment he is spending a lot of time in his bedroom building lots of little lego things for a ‘show’ he is going to do! I join in with IzziWizzi playfest on a Tuesday night on Twitter which is a group of mums getting together to discuss different play ideas (and see my previous post). If anyone is doubting how fun playing with your child is I suggest joining in with us! I think us mums often get more excited about new toys and play ideas than our children! How do other parents feel about playing with their children? Do you find it a pleasure or a chore? I was recently sent some Aqua Maris Junior Nasal Spray to try. The spray is a 100% natural saline solution made from Adriatic seawater. It is intended to be used daily for hygiene and nasal moisture and healthy breathing each day and night. As Little Mr A is at school he often brings home colds and always has a bunged up nose. I thought this product looked like a good way to decongest him and help him to breath easier. Unfortunately, despite numerous attempts, I have been unable to get Little Mr A to try the product! I don’t think he likes the idea of something being sprayed up his nose! As I couldn’t persuade Little Mr A to try it I have given it a go myself (Little Miss A is still a little young as it is recommended from 6 months +). I was a little wary about spraying something up my nose, however, after the initial shock I was pleasantly surprised. It had a nice fresh feeling and aroma and really does make my nose feel fresher and clearer. I think if you started using this on your child from a very young age they would get used to the sensation and action of having a spray up their nose and then you would be able to use it when they got a cold. I really think it would help them with their breathing. The spray itself is very easy to use. Once in place you simply push down the top and out comes enough spray to do one nostril. It is available to buy for around £4.50 which I think is reasonable. You get 30ml in a bottle which, judging from how much I have used, should last a while. Overall I think it is a good product and I will be trying it on Little Miss A when she gets a little older. If I am being completely honest I was not looking forward to half term last week. It was the first time I was going to be on my own with both of my babies and Little Mr A has been a little sod challenging lately to say the least! I knew it was going to be a hard week and I was not wrong! Although it was nice to be able to have a bit of lazy time together without rushing around getting ready for school, the constant noise and lack of any personal space has been rather difficult to cope with! I fell out a lot with Little Mr A. I love him to pieces and it hurts so much to argue with him all of the time but it is just so frustrating when he won’t listen to anything! I want my lovely little chap back that we took on holiday last year, not this monster that we seem to bring home from school everyday! If I hadn’t kept him entertained I could understand him getting bored and frustrated which is usually when he starts to play up, however, I did only the essential cleaning like the pots/washing, the housework I thought could wait a week! Little Miss A was either asleep or laid on the floor entertaining herself so I could spend as much time as possible with Little Mr A. It doesn’t seem to matter how much we do with him, it’s never enough! I know he is struggling to come to terms with not being an only child anymore but I don’t know what else we can do to make him feel included. He is beginning to play with Little Miss A more now she is getting bigger but some days he is so rough, shouting and laughing really loud right in her face or trying to roll her around and when we tell him to stop he just doesn’t listen. At the moment all treats are banned. He is having no computer games or i-Pad and no T.V. programmes of his at all. He tried to convince me that Total Wipeout was my programme and that we could watch it, but I wasn’t falling for it! I am really hoping he settles down soon, I don’t know how much more we can take. I hate to see him so upset and emotional when he has been told off but the nicely, nicely approach just doesn’t work anymore! I feel like I am being such a bad mum sometimes and that he must hate me, but my patience is wearing so thin I can’t help but snap at him. I can’t say I am looking forward to the Easter holidays in a few weeks, however, I am hoping the weather will be nice so I can shut him outside let him play outside! I hope everyone else’s half terms have been/will be more successful! Since Little Mr A started back at school after Christmas his reading has really come on. He is now bringing home two books at a time, a phonics book (which are gradually getting longer and harder) and now an Oxford Reading Tree book with more difficult words. He loves reading and can’t wait to read the books to us when we get home. When we are out and about he is forever reading signs, sides of lorries, wherever there are letters really! I have videoed him reading his latest books as I thought it would be really nice to remember how he started reading and it will be interesting to look back in a few months to see how he has progressed.